Organizational charts are commonly used in large corporations to visualize the structure of the sales team / sales department of the company. 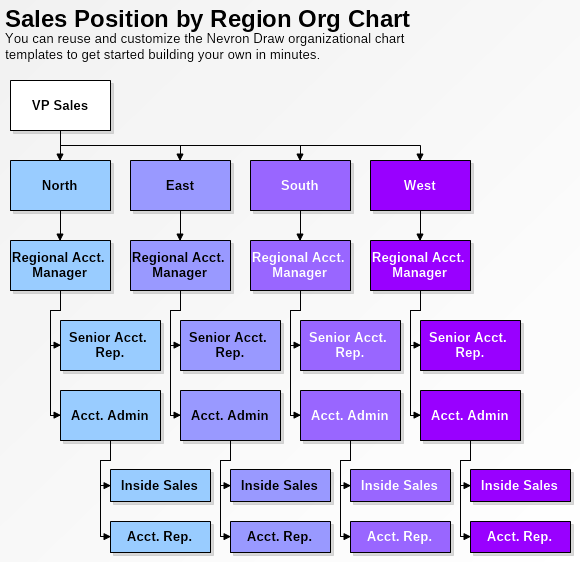 This sales position organizational chart template includes regional separation on north, east, south, and west sales teams; the sales manager of each area and its subordinates. To create your own Sales Position Organizational chart you can download this free template and get started in minutes.